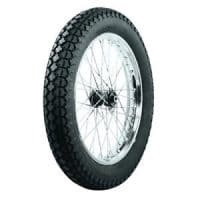 Firestone ANS 4.50 x 18″, classic Army tire, nice for a streettracker, Bratstyle or custom motorcycle. Use as a front tire or rear tire. 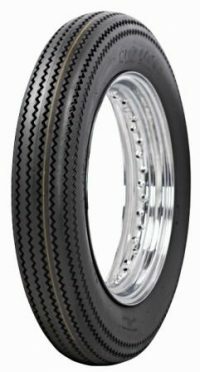 Firestone ANS 5.00 x 16″, classic Army tire, nice for a streettracker, Bratstyle or custom motorcycle. Use as a front tire or rear tire. Firestone Champion Deluxe 3.25 X 19 shipping costs outside the Netherlands are higher rated! 25 euro for 1 tire, 35 euro for 2 tires! These costs will not automaticly added to your order so please ad these costs when ordering! Firestone Champion Deluxe 3.50 X 18 shipping costs outside the Netherlands are higher rated! 25 euro for 1 tire, 35 euro for 2 tires! These costs will not automaticly added to your order so please ad these costs when ordering! Firestone Champion Deluxe 4.00 X 18 shipping costs outside the Netherlands are higher rated! 25 euro for 1 tire, 35 euro for 2 tires! These costs will not automaticly added to your order so please ad these costs when ordering! Firestone Champion Deluxe 4.00 X 19 shipping costs outside the Netherlands are higher rated! 25 euro for 1 tire, 35 euro for 2 tires! These costs will not automaticly added to your order so please ad these costs when ordering! Firestone Champion Deluxe 4.50 X 18 shipping costs outside the Netherlands are higher rated! 25 euro for 1 tire, 35 euro for 2 tires! These costs will not automaticly added to your order so please ad these costs when ordering! Firestone Champion Deluxe 5.00 X 16 shipping costs outside the Netherlands are higher rated! 25 euro for 1 tire, 35 euro for 2 tires! These costs will not automaticly added to your order so please ad these costs when ordering!